Michou sound great. They’ve played several TWM shows in the past, but we wanted to check them out after their recent Verge win. I give them a lot of credit for breaking out of Windsor — not as easy as Toronto or Montreal, I’m guessing — especially because they did it on the strength of good songs and hard work. There was a great crowd here for the set, especially for a rainy Wednesday. 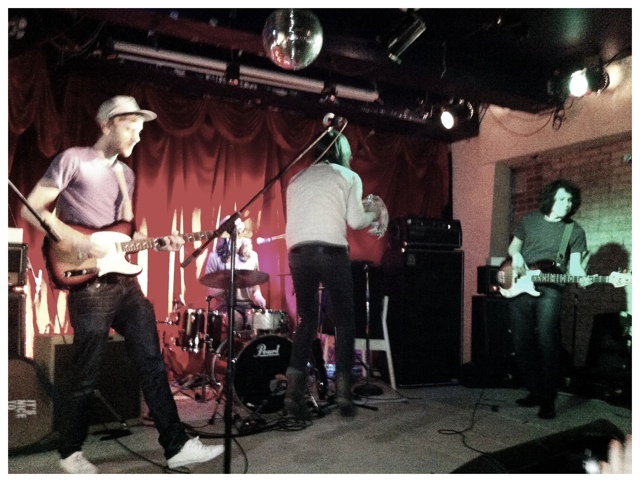 I think the El Mocambo suits these guys well. So does success. We did a minilogues video with Michou a while back (behind the El Mo, actually) — check it out here.